The Islamic Society of North America (ISNA) has completed its general election and expresses deep appreciation for all of the candidates who offered to serve the organization. The following leaders have been elected to these positions on ISNA’s Board of Directors. Dr. Sayyid M. Syeed is the former National Director of ISNA’s Office for Interfaith and Community Alliances in Washington, DC. Before heading the Washington office, he served for 12 years as ISNA Secretary General. He served as President of MSA and pioneered its transformation into ISNA. He’s also formerly served as Secretary General of the International Islamic Federation of Student Organizations (IIFSO), General Secretary of the Association of Muslim Social Scientists (AMSS), and Chairman of the Editorial Board of Islamic Horizons magazine. Dr. Syeed was one of the founders of the American Journal of Islamic Social Sciences (AJISS) and served as Editor and then Editor-in-Chief. Safaa Zarzour is an educator, attorney and a community activist. Professionally, he is the Superintendent of Universal Schools in Illinois and Indiana. He is also the Principal of Zarzour Law LLC. Previously, he has served as Secretary General of ISNA, General Council and Chief Operations Officer of Zakat Foundation of America, and Chief Executive Officer of IQRA International Foundation, and as an adjunct law professor at Loyola Law School. 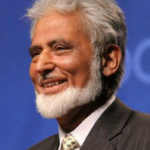 Zarzour is the cofounder of the ISNA Education Forum, Chairman of the Council of Islamic Schools of North America (CISNA), member of the Board of Advisors of the Lake Institute on Faith and Giving, Vice Chair of the Mosque Foundation, elected board member of Oak Lawn Community High School and President of the Syrian Forum USA. 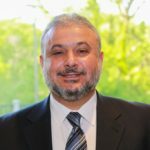 Mohammed Jalaluddin has a Master of Science Degree from the University of Texas at Dallas, and has over 30 years of experience in Islamic Finance and Senior Business Management. Jalaluddin is the founding member and currently the President of Ansar Financial Group, Toronto that offers interest-free investments and is Sharia Compliant. He is also the Vice Chairman of Islamic Cooperative Housing Corporation in Toronto and President IMRC Canada. 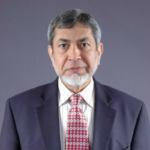 Jalaluddin is a life member of ISNA and has served MSA/ISNA since 1972 in various capacities such as a Board Member and Secretary, Association of Muslim Scientists and Engineers (AMSE) and as speaker/moderator at ISNA Conventions.